Being Frugal and Making It Work: March Crowdtap Brand Drawings Summary‏ ~ I Won 6 Gift Cards! Like to express yourself? Welcome to the Crowd! We're a diverse community of new souls and social media geeks who live for... the next creative challenge. Join our network of branded communities and help shape your next must-have product. Influence top brands in major decisions like product ideation, packaging, advocacy, and marketing. In return, reap the rewards! Get access to monthly prizes, exclusive perks and product samples... just by sharing your opinions & showcasing your creativity through fun challenges! Get rewarded for your opinions & connect with the brands behind the products you use everyday. 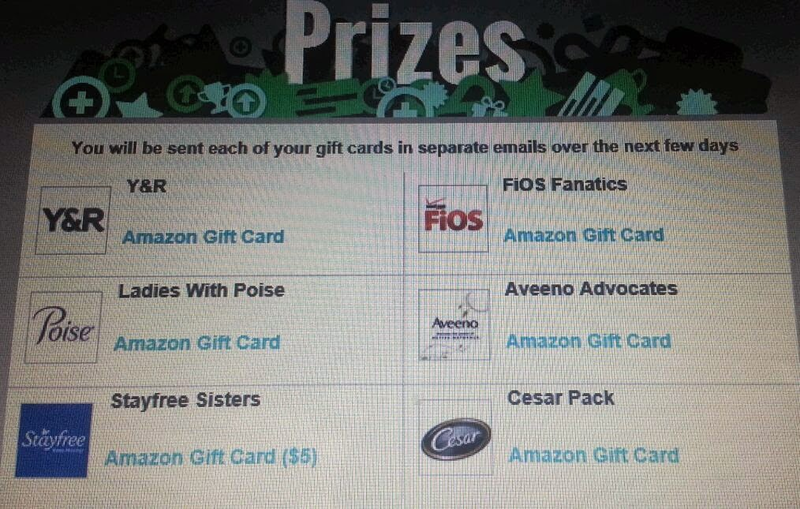 If you are a member of Crowdtap, how many gift cards did you win this month?